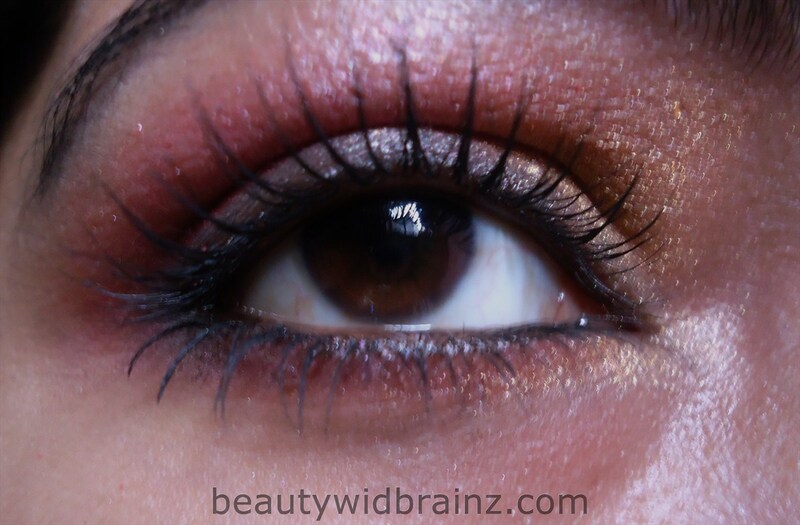 Today I am going to share my very 1st EOTD. In case you don’t know, I am very much new to eye makeup. I have always been a great fan of lip gloss lipstick but never paid much attention to eye colors. I basically just use one color on my eye for daily use. I was going out last night with my girlies for the Ganpati Visarjan yesterday wearing a pink dress. 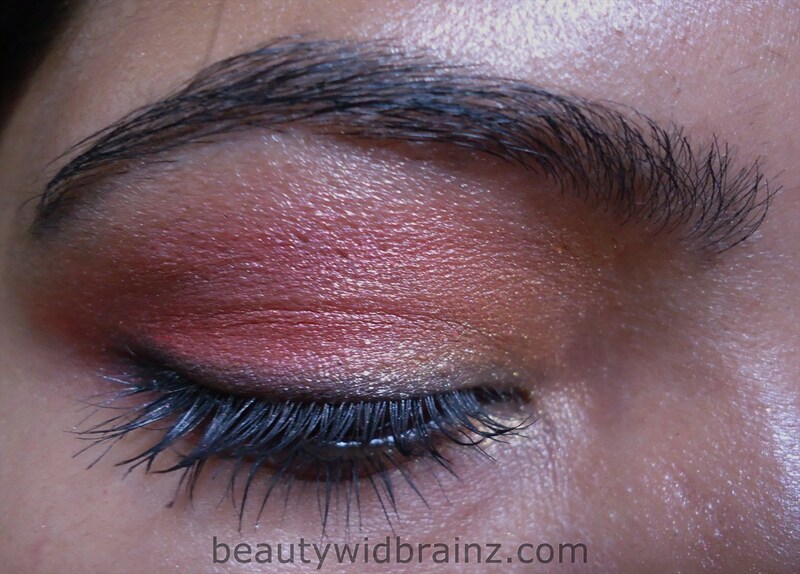 After spending 2 months in blogging world and seeing such amazing makeups I tried to go ahead an experiment something with my eyes. I am not a professional but I am here to learn and experiment as much as I can. This is what I did yesterday. I tried to keep it very simple and neutral as I didn’t wanted to look like a clown. I hope you guys like it. I don’t have a huge makeup collection so I have started to save money to buy more eye shadow pallets. I am also learning and trying to be a professional someday 😀 Till then do help me with your feedback’s and suggestion. 🙂 You support and encouragement means a LOT to me. Previous Tip of the Day – Fix your yellow nails. Next My 1st Award ! 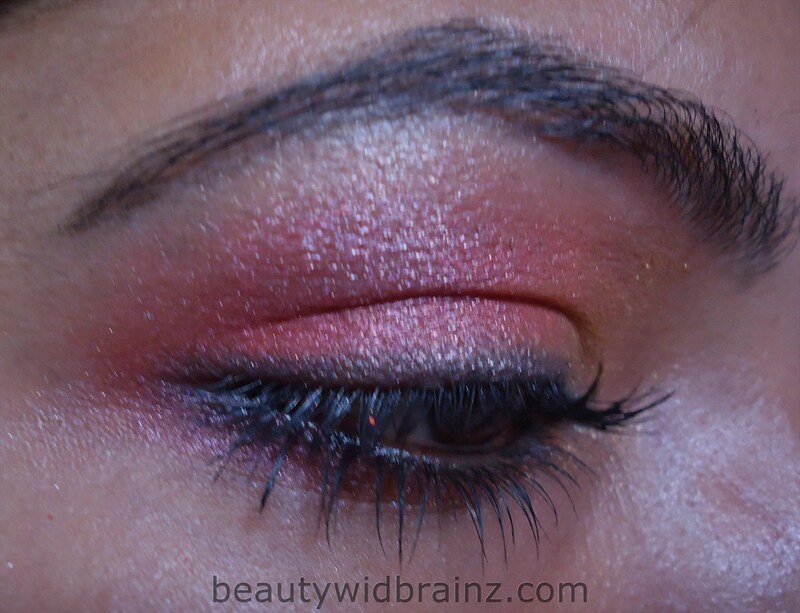 We love the pink eyes of the day! I like the use of gold to peach to red. I’m excited for this series, I also have dark brown eyes and I love seeing different color palettes for them!